Flowchart of patients recruited to the clinical observational study. Patients in cohort 1 received induction treatment as per local treatment policy, either 800 mg or 1200 mg per day FLC for the first 2 weeks. 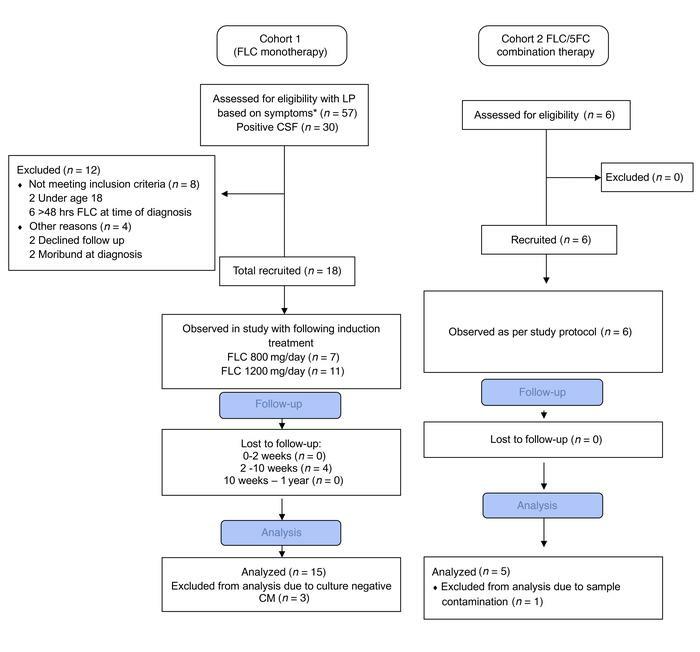 Patients in cohort 2 had already been randomized to receive FLC/5FC combined as part of the ACTA trial and were approached to consent to be observed as part of this substudy. Asterisk indicates fever plus one or more of headache, confusion or reduced level of consciousness.